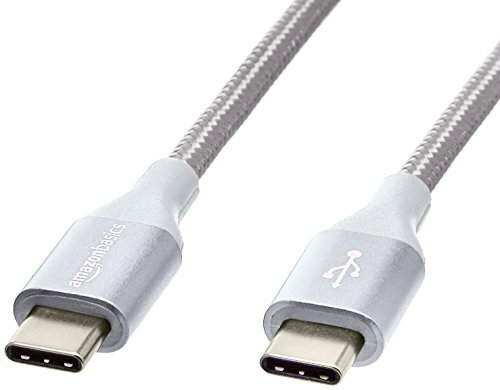 AmazonBasics Double Braided Nylon USB Type-C to Type-C 2.0 Cable | 6 feet, Silver by AmazonBasics at Got Busted Mobile. MPN: UTC-C-C-2.0-6FT-SLV. Hurry! Limited time offer. Offer valid only while supplies last.